In 2005, a dozen expecting families and a handful of complimentary care practitioners came together in the first annual Conscious Birth Summit to discuss empowered and safe birthing practices. Media coverage of the natural birth movement was minimal and home birth rarely discussed. Most Iowans were unaware of the rising rate of medical interventions common in obstetrical practice that were not coinciding with beneficial outcomes. Unfortunately, cesarean rates in the United States continue to rise, but awareness of the need for greater childbirth preparation is growing through events like the Birth Summit. For more than a decade, hundreds of participants hungry for information and interested in safe alternative therapies to enhance their pregnancies have attended this annual event. The Summit now includes films, presentations, breakout panels, and many community building opportunities. 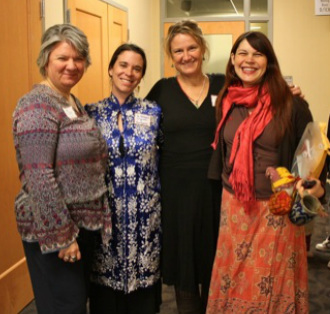 Thanks to all who participated and sponsored the Conscious Birth Summit!